​We offer drug testing, physicals, and wellness services for companies. Annual testing to meet OSHA is offered for firefighters, and public safety employees. Public Safety employees includes HAZMAT, EMS, Law Enforcement, and Water Treatment employees. 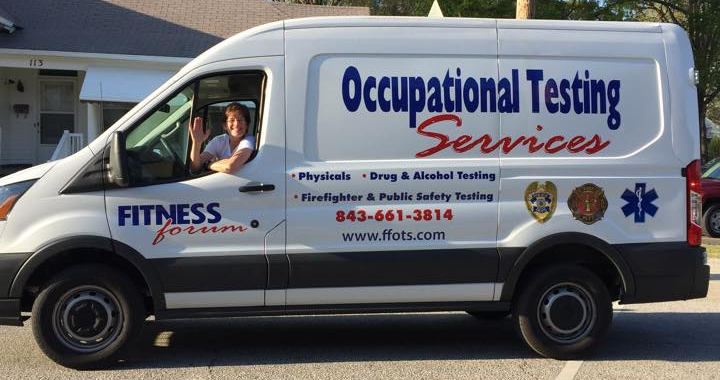 For companies local we can do this testing at the Fitness Forum or we are can drive anywhere in the state and setup testing onsite to make it convenient for your employees. Our goal is to offer the best services at an affordable price with experienced personnel. Our team has been providing these services for over 20 years. Please take a minute to check out the services we offer.